The AU Commission Chairman Moussa Faki Mahatmat has arrived in Cameroon amidst an escalating crisis in the North West and South West Regions of the West African nation. These regions have been restive for months now amid armed exchanges between government forces and secessionists under the banner of the so-called Ambazonia Republic. The government is worried that the crisis in these regions will likely disturb the October 7th presidential elections. 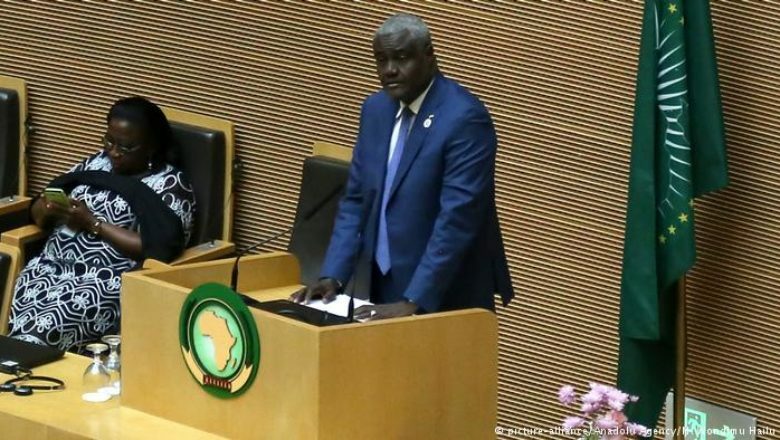 Moussa Faki’s visit comes at a time the African Union has been criticised for its silence since the crisis broke out late in 2016 but it will be an opportunity for the AU Chairman to discuss ways out of the crisis with Cameroon’s officials. A statement from the Cameroon Presidency said that both leaders are discussing the security situation in the Far North Region of Cameroon in the face of the waning threat of Boko Haram terrorists as well as the situation of refugees.